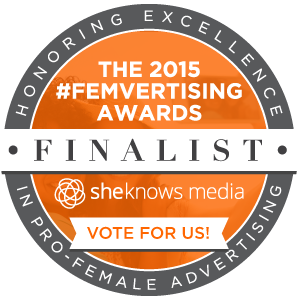 Congratulations on making it to the finalist round of the 2015 #Femvertising Awards! 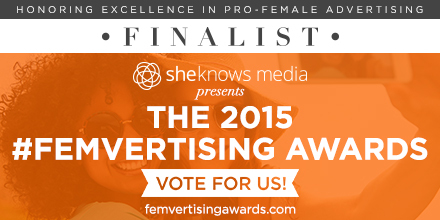 Your pro-female ad campaign was selected as one of the top 12 after a review by the SheKnows Media team and our 16 esteemed judges hailing from organizations like the Clinton Foundation’s No Ceilings initiative, The Representation Project, Adweek, Huffington Post, Forbes and Equality Now, to name a few. 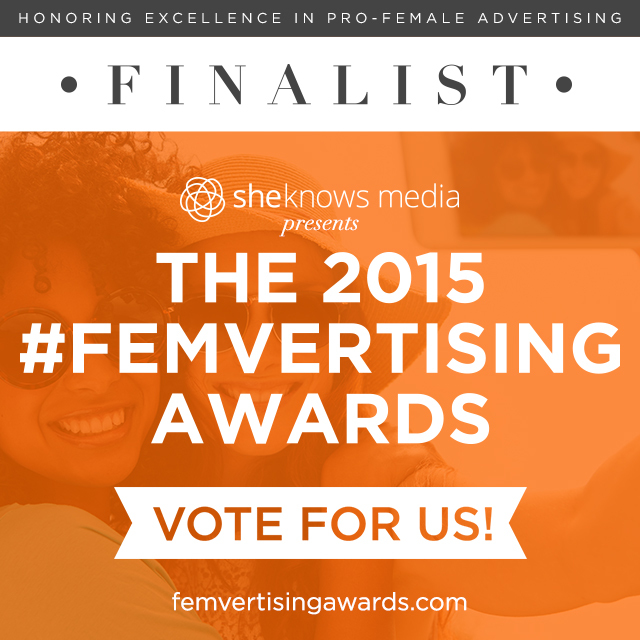 As a finalist for the #Femvertising Awards, you’ll want to start creating buzz about your ad campaign once the voting opens on June 2. 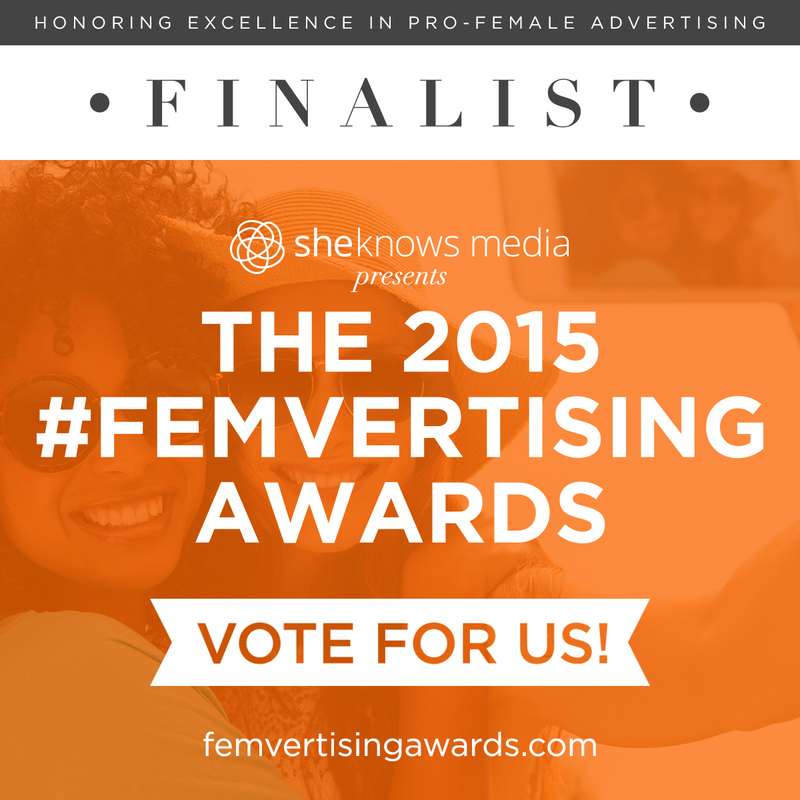 The voting takes place at femvertisingawards.com and individuals can vote once per day until 11:59 p.m. Eastern on June 19. Since the winners will be determined by popular vote, you’ll find links to a variety of materials below that you can use throughout the voting period (June 2 to June 19) to encourage your colleagues, social media fans and followers, clients, partners and friends and family to cast their vote in favor of your ad campaign. IMPORTANT: Do not start campaigning for votes until AFTER SheKnows Media issues its press release announcing the finalists the morning of June 2. You will receive an email from your SheKnows Media contact that morning indicating that you can start promoting the news to your networks. The winning campaigns will be revealed at #BlogHer15: Experts Among Us on July 17 in New York City, however, winners will be notified prior to the event. Winners will also receive one complimentary pass to the full conference taking place July 16-18, as well as two complimentary passes to the awards celebration on July 17. Please put a hold on these dates as we hope to see you there! If you have any questions about these promotional materials, please reach out to your SheKnows Media contact or email Femvertising@SheKnows.com. Thank you, and best of luck! Press Release: To view a press release template that you can customize and put on your own letterhead, click here. Sample Email: Click here for a sample email that you can customize and send to your colleagues, partners, clients or anyone you think will vote for your campaign. Website Badge: You can add a badge to your website that encourages people to click to vote for your campaign. The badge is available in two different sizes. To use, select the size you prefer and use the accompany embed code. Social Media Posts: Below you’ll find a few suggested posts that you can customize and send via your social media accounts. You may want to use a variety of these posts – or your own – throughout the voting phase from June 2 to June 19. 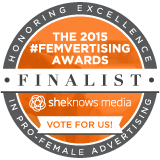 Customized Sizzle Video: We have created customized sizzle videos for each #Femvertising Awards finalist to help illustrate what the #Femvertising Awards represent. These can be posted on social, uploaded to your websites and shared in your press release and emails. Check out SheKnows Media’s generic version here to see what these videos looks like! In the finalist notification email your SheKnows Media contact sent to you on June 1, you should have received a URL to download your customized video via dropbox. If you did not, please reach out to Jenni Ottum at 480.231.4887 or Jenni.Ottum@SheKnows.com.